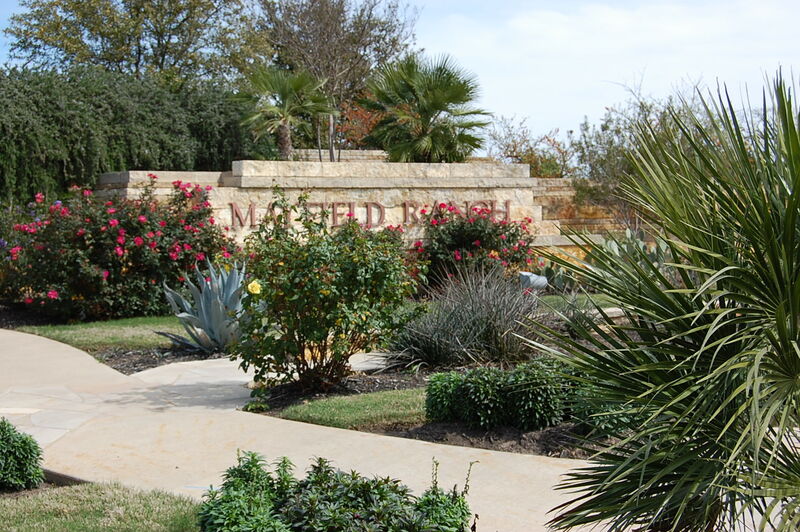 Mayfield Ranch is a master planned community of over 700 homes located off of 1431 between Round Rock and Cedar Park TX. Amenities include a community clubhouse and pool. Located adjacent to Mayfield Ranch is the beautiful Williamson County regional park, with numerous soccer fields, baseball fields, tennis courts, and a childrens train ride around the park. Homeowners have a quick commute into Austin, Leander, Cedar Park, Georgetown, and Pflugerville. Shoppering is a blast with IKEA, and the Round Rock Outlet Malls being nearby. Residents will also enjoy being near the new Schlitterbahn Water Park, as well as the new Cedar Park events Center and 1890 Ranch. Homes for sale in Mayfield Ranch typically run from the mid $200's-$400K. Students either attend the Round Rock ISD, or Leander ISD, depending on the section your new home is located.